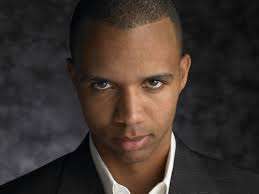 Attorneys for prominent poker pro Phil Ivey have launched a written attack against the motivations and perceived weak case being presented by New Jersey’s Borgata Hotel Casino & Spa, as the casino seeks to recover more than $9 million won by Ivey during four separate visits to the casino’s mini-baccarat tables in 2012. The latest exchange of words comes in the form of a reply brief issued in response to a filing made by the Borgata’s attorneys earlier this month, which came in response to Ivey’s attorneys’ prior motion to dismiss the lawsuit, which alleges that the “edge sorting” technique employed by Ivey and his female companion, Cheng Yin Sun, constitutes cheating under New Jersey gaming law and that the Borgata is therefore entitled to compensation. The spirited reply runs to ten pages in length and takes several shots at the Borgata’s alleged avoidance of proper legal tactics in attempting to recover the millions from Ivey. This latest reply was filed yesterday by Edwin J. Jacobs Jr., Louis M. Barbone and Eric H. Lubin. Their firm, Jacobs & Barbone, PA, represents Ivey and Sun. 3) That the conduct of Ivey and Sun during the mini-baccarat sessions was never illegal under New Jersey law. Numerous excerpts from the latest filing make for entertaining reading while still highlighting what Ivey’s attorneys state as gaping logical laws in the Borgata’s claims. Among the most glaring, as repeatedly pounded home in the filing, is that the Borgata never filed a complaint with the New Jersey Division of Gaming Enforcement [DGE] alleging illegal cheating behavior by Ivey and Sun. If, as Plaintiff [Borgata] alleges, Defendants Ivey and Sun committed multiple instances of swindling, fraud and cheating, Plaintiff was duty bound to let the DGE decide if the [New Jersey Casino Control] Act had been violated, and if so, to initiate and prosecute criminal charges on Plaintiff’s behalf. Restitution after a conviction is one remedy available to Plaintiff. Alternatively, the DGE could order Gemaco [the manufacturer of the cards exploited by Ivey and Sun, which was named as a co-defendant], duly licensed pursuant to [New Jersey gaming statutes], to repay Plaintiff’s alleged losses if it found a bona fide defect in the cards after filing a regulatory complaint. It was Plaintiff that decided not to exhaust or even attempt these remedies and proceeded instead by filing this frivolous lawsuit. The Casino Control Act does not contain a single word about edge sorting — the card-identification technique admittedly employed by Ivey and Sun — nor does it prohibit a casino from planting a player’s request to change the orientation of a playing card. It also expressly permits the use of a casino’s shuffling device , and Defendants never touched, altered, or marked a single playing card. As such, it is clear that Plaintiff wishes to avoid DGE review and investigation because that innocuous conduct does not violate any criminal or casino regulations. Ivey’s attorneys also disputed the claim the only casinos were entitled to seek recompense under the state’s gaming laws, a suspect position which the casino nonetheless successfully argued in defeating a claim made by affected players in the 2014 Borgata Winter Poker Open affected by the introduction of fake chips. In the Ivey case, however, the premise is radically different, and Ivey’s attorneys argue that the casino can’t legally have it both ways. For Plaintiff to prevail, this court would have to find that the New Jersey Legislature intended, yet simply forgot to include any provision allowing a private damage remedy to gaming losers. The precise claim was rejected 20 years ago. [The filing then refers to the New Jersey case of Miller v. Zoby, in which the DGE’s control over all New Jersey gambling matters was affirmed. … Plaintiff’s interpretation would lead to the absurd result of allowing a casino to sue a patron for an alleged violation of the Act, but would prevent that patron from bringing a Counterclaim on the same illegality. … Plaintiff wagered that it would win the multiple million-dollar deposits of “front money” it required from defendants in exchange for providing high stakes mini-baccarat with special accommodations in a private atmosphere. Plaintiff’s only valid complaint is that it lost.